Trainer Tony McEvoy’s ability to place his horses was highlighted when More Than Ever broke through at Kilmore on Tuesday, October 23. McEvoy only took the one horse to the Kilmore meeting and came away with a winner as he did on the previous Sunday with Still Invincible at Cranbourne. 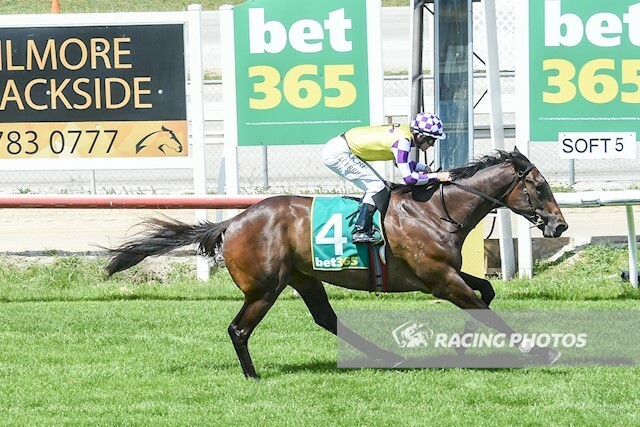 Ridden beautifully by Luke Currie, More Than Ever ($5.50) scored an easy 2-1/4 length win in The Bendigo Club Maiden (1612m) beating Silver Scout ($16) with Perfect Pony ($9), a neck away third. The four-year-old settled slightly worse than midfield on the inside in the field of 11 before Currie started to allow him to stride forward near the 600 metre mark taking runs to have him in a striking position as the field turned for home. More Than Ever quickly accelerated to the front and won comfortably. “He’s a lovely type and still learning,” Currie said. “He got a little bit keen in the middle stages but today stepped up with a good win. “I was disappointed with his first up run at Bendigo, but not disappointed with the horse. “The slow tempo didn’t suit, and he got a bit uptight. Michael Shepherdson, Melbourne stable foreman for Tony McEvoy, said More Than Ever was a big growing horse that would be suited over even more ground. “He did a bit wrong when resuming (at Bendigo) but today Luke (Currie) let him roll early and get into a rhythm then picked the gaps going forward. Shepherdson said More Than Ever could continue to improve. More Than Ever cost $160,000 as a yearling at the 2016 Inglis Australian Easter Yearling Sale and was purchased by McEvoy Mitchell Racing in partnership with Blue Sky Bloodstock.